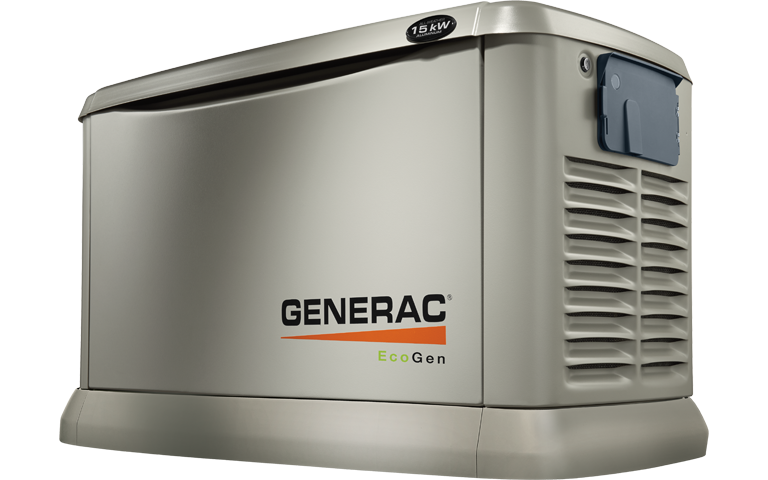 With the introduction of the EcoGen 6 kW, Generac is able to offer the only automatic standby generator engineered specifically for off-grid use. It eliminates virtually all of the issues previously associated with alternative energy backup power options, including high fuel consumption, noise, and short product life. Instead, the EcoGen 6 kW is the answer for consumers needing affordable, reliable, low emmission, off-grid standby power. Built specifically for this application, it is the first automatic standby generator to be warranted for off-grid use when used in an alternative energy system. Engineered to easily integrate into the existing inverter and battery storage system. Runs on environmentally friendly, energy-efficient propane gas that is already stored and available at many off-grid locations. 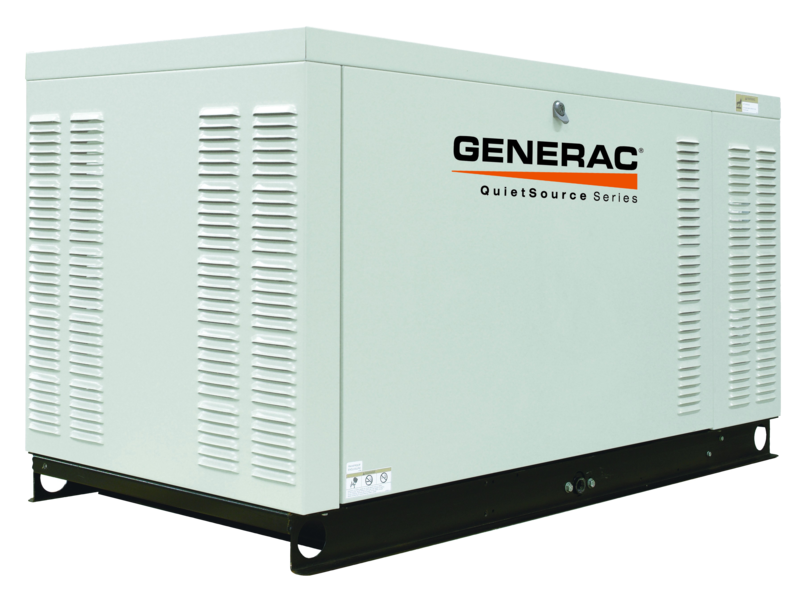 Features Generac’s own V-Twin OHVI® industrial engine, the only engine developed specifically for generator use. The low speed makes it the quietest in the industry, with noise and vibration levels drastically less than comparable solutions. Simplified maintenance with unprecedented 500 hour maintenance intervals saves time and money. Generac's new 7kW CorePowerTM Series standby generator is a complete generator and transfer switch system, priced more affordably than any other system in the market. It makes choosing an automatic generator over a portable the obvious choice to manage power outages. The compact design is engineered for easy maintenance and serviceability, and is ideal when space is at a premium. 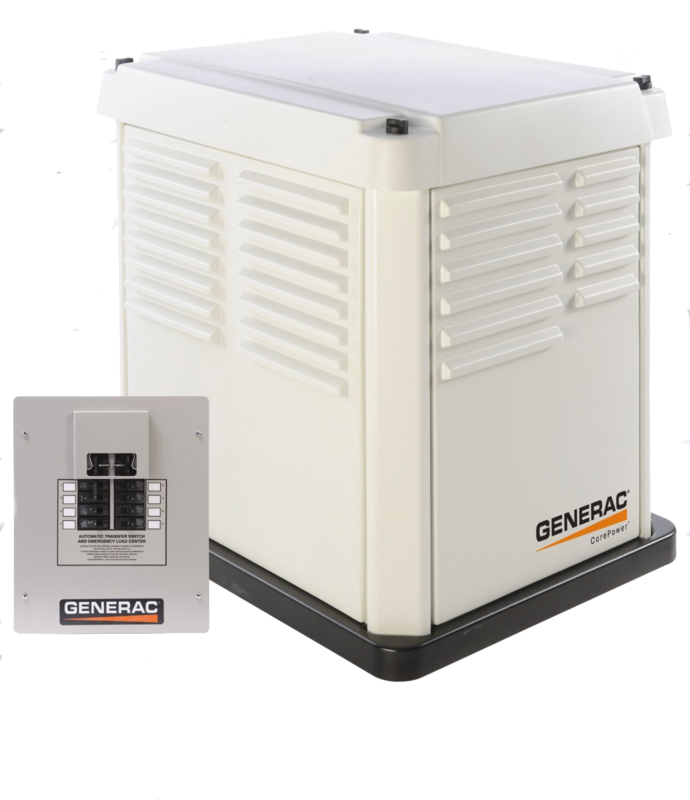 Generac has engineered a home standby generator that makes residential backup power more affordable than ever, without sacrificing the quality and reliability our generators are known for. If you only need to protect your essential circuits and thought a portable generator was the best option for your money, compare the benefits of the CorePower Series. Immediate backup power supply with a continuous fuel source of either LP or natural gas. Starts automatically whether you are home or away, eliminating extension cords and refueling. Prepackaged with a transfer switch – a complete automatic system at the same price as a portable generator. Never feel powerless with the #1 selling home standby generator. Choose the generator four out of five families have already installed. 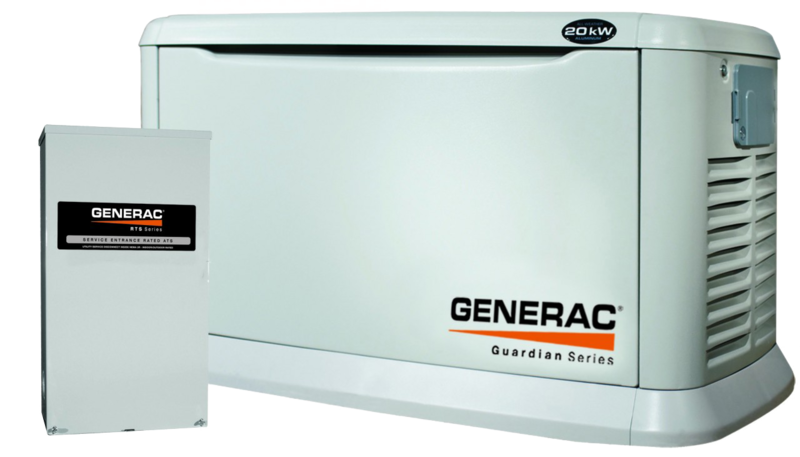 Protect your home or business with the preferred 24/7 backup power protection of Generac. 8kW - 60kW models available. Easiest installation and best value on the market - many models pre-packaged with a pre-wired transfer switch. All models include mounting pad. Premium features are standard for the ultimate standby generator. Thanks to the low-speed engine, it’s so quiet you’ll forget you own a generator until you need it. Ideal for large residential and small to medium commercial applications. 22kW - 48kW models available.